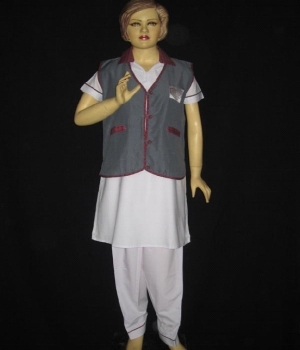 We at RSM Uniforms manufacture wide range of products for Housekeeping and facility management companies in Chennai. For women, we have with us three piece suit consisting of Salwar Kurta and Overcoat. There are varied range of colors available with us and the overcoats that we make can have the label or the embroidery of your company. For your enquires on Housekeeping Chudidars, Salwar Kameez, Plain Chudidars in Chennai please contact us at 9176634635 or fill up the enquiry form on our website http://www.chennaiuniforms.com. You can also directly visit us at RSM Uniforms No.74, Godown street, 1st floor, Amex arcade complex, Chennai – 1. We would be happy to help you.